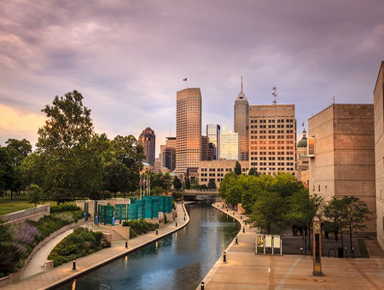 Indianapolis is the “Crossroads of America” and, in that tradition, SmithAmundsen’s Indianapolis office, which opened in 2013, maintains and fosters diverse interests connecting the firm to the Indianapolis community, and Indianapolis to the world. Our Indianapolis office is active in the business and legal community through such organizations as the Indianapolis Bar Association, the Indianapolis Chamber of Commerce, the Indianapolis Society of Human Resource Management, and the Venture Club of Indiana. SmithAmundsen is proud of the commitment to the betterment of the Indianapolis community made by our team of professionals. We support the youth in our community by educating an inner-city youth team on the US Constitution to prepare for the “We the People” nationwide competition in our nation’s capital, helping launch a new science museum for children, participating in Passport to Hi-Tech where girls learn about careers in engineering, biology and other STEM disciplines, and serving the Boys & Girls Club. By taking leadership roles within the Commemorative Air Force Indiana Wing and the National Association of Women Business Owners (NAWBO) Indianapolis chapter, our Indianapolis office connects to national organizations that are preserving our past and moving towards the future.